This particular Adams E3 Custom Euphonium is made of yellow brass with an antique finish, and has a .60mm wall thickness. The body features custom engraving. Manufacturer's Comments: The E3 is a complete different instrument than the E1 and E2. It offers a real alternative for those who are looking for a more round and dark instrument. 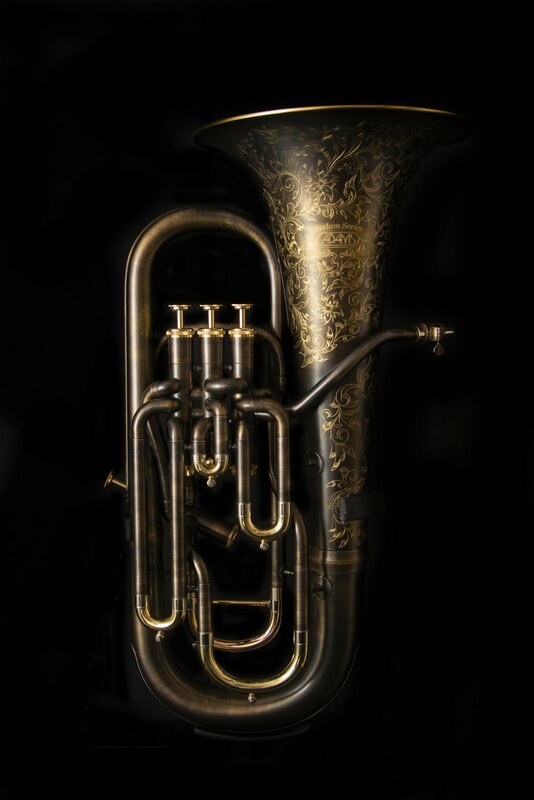 The form of the bell, as also the bottom bow, first bow, and leadpipe are different from the other Adams euphoniums. Bridgepoint Music is an authorized Adams dealer.